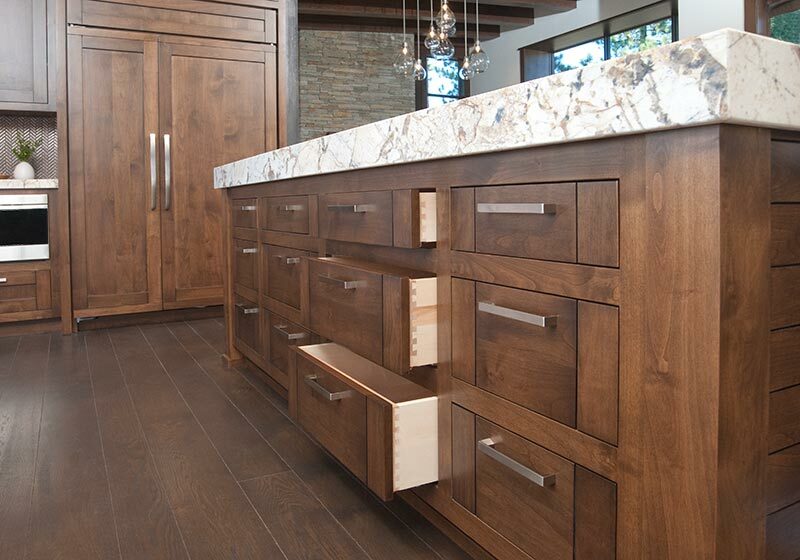 If you have light colored hardwood floors or tile in your kitchen, you may want to consider darker cabinets. Virginica Brown or Rye are warm sophisticated colors that will add a cozy feel to your kitchen which is often the heart of the home. If your kitchen is open to your family room or dining room, make sure the finishing on your cabinet coordinate with the other colors in the area.